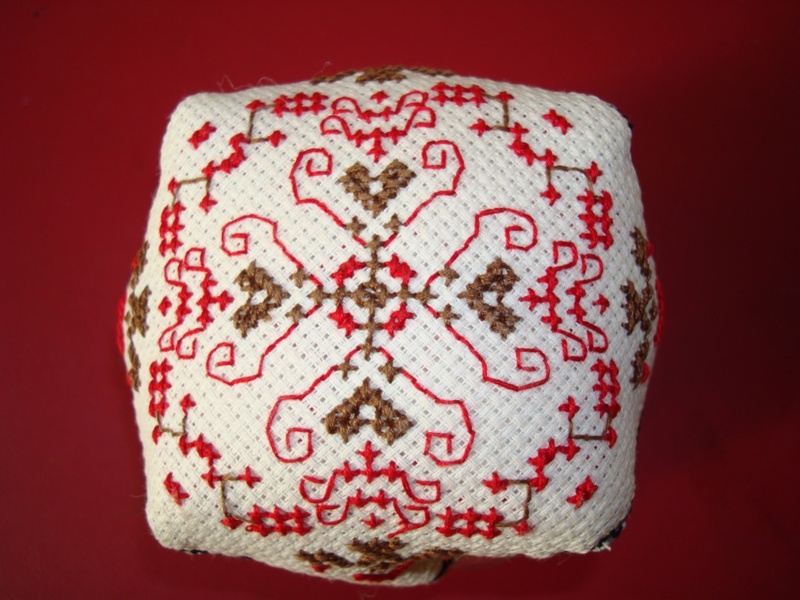 The stitchin fingers have announced ‘post a photo of…’ challenge . the theme is ‘pin cushion and ‘needlecase’’. I haven’t done any so far. 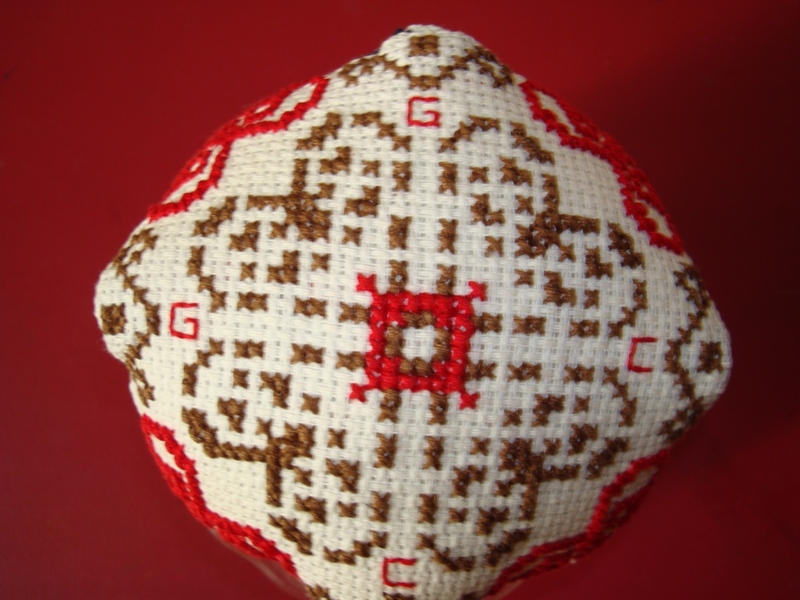 But I do have a biscornu, which can be passed of as a pincushion.The cross stitch pattern for this biscornu, was complimentary from a blog, my problem is I don’t remember which one. 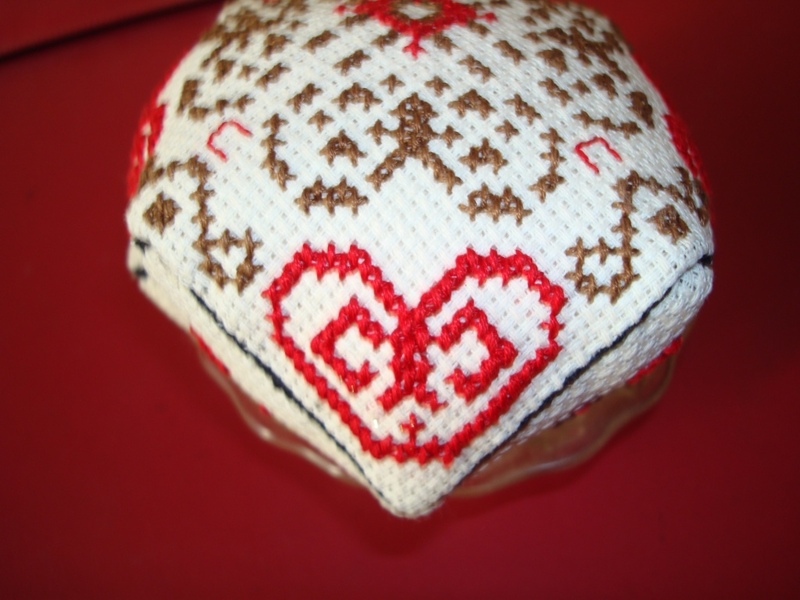 In 2007, I had no idea of blogging about my embroidery, so it was just a thing to do for my personal use. I use this opportunity to thank that person for this gift. I added my intials into this pattern, that is the only output from me. I would appreciate,if someone is knows the owner of this pattern.